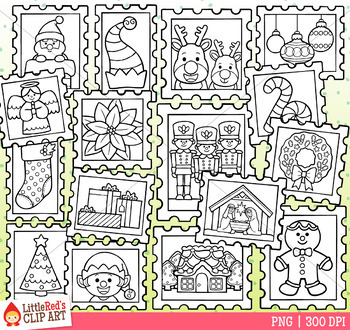 A collection of Christmas themed postal stamp clip art! Includes graphics featuring candy canes, angel, reindeer, Santa, poinsettia, gifts, ornaments, trees, gingerbread, etc.! This set is also available in our Crazy for Christmas II Clip Art Bundle!